1 Should I Get One Of These Things? The new trend in all the celebrities is a new toy which is also a means of travel. A gadget that can go up to 10 miles per hour until you are thrown off with a scraped up knee, this new toy is trending everywhere. A personal mobility device is what this device is most commonly called giving you the opportunity to travel around the streets with a 15 mile travel radios. I will be explaining the pros, cons and whether or not to buy one/where to buy one. Should I Get One Of These Things? Realistically, this fun gadget is a toy for everyone. Giving you the opportunity to travel around the streets at about a jogging pace. To control it all you have to do is lean where you want to go. In most instances, people are wondering if they really will be able to ride this thing. I mean cmon, it's a segway with no handles so this is a obvious assumption. It has taken people anywhere from 5-20 minutes to learn how to ride it. Once you have the hang of it you will be roming the streets in no time. As far as safety goes, your first couple of times I recommend wearing a helmet. Overall, this is a awesomely fun way to get around as a toy, not as a means of real transportation. Super Fun, perfect gift for any occasion. No matter who you get this for they will love every second of it. Only takes 90 minutes to charge and you can get a good 7 hours of ride time which is all you will need. Fun to ride around the streets and to travel around your house. A very fun toy that is perfect for all ages. The common assumption of falling off does get people a little worried to buy this for their kids. Bottom line is that rocks and curbs are your biggest worry. If you where to fall the board does also tend to roll a bit so it may get a little scratched up. 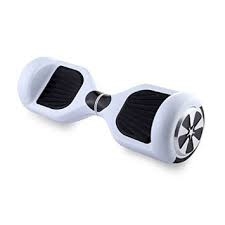 As far as injury you will need to be very unlucky to hurt yourself on this. Worst case scenario being you fall backwards and hit your head or back, or you fall forwards and hurt your wrist. 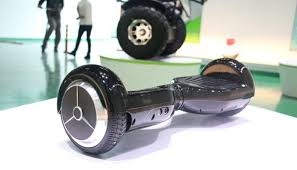 Go on amazon and search the key words: Mini Segway/ Hoverboard. You will have a lot to choose from but I suggest choosing one that doesn't take 2 weeks to ship. I will leave a link below for one that I Believe is a trusted brand. Brands like IO HAWK cost up to 1800$ For the same product so I really suggest saving the 1500$. I am a technology enthusiastic. I love writing about all the new cool things in technology and love to give you interesting things to read about. I also take article suggestions so email me at [email protected] for any suggestions on my next piece. That will be all guys, keep on reading.